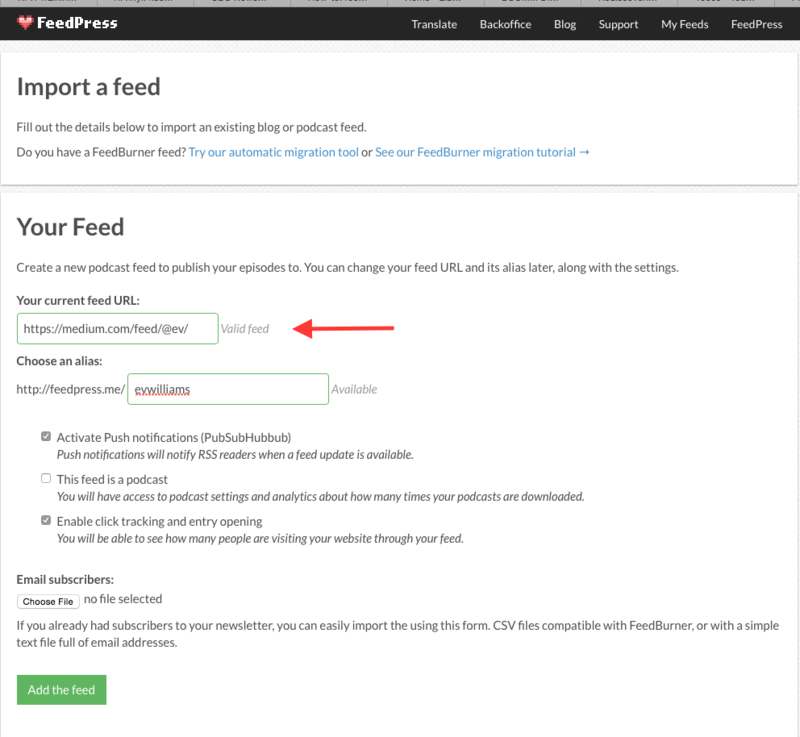 FeedPress allows you to import any RSS or Atom feed, as long as it’s valid. Medium.com historically hasn’t given much focus to RSS feeds, in fact, they never made them easy to find in the first place. I know a while ago they had some issues, so you may want to test it. 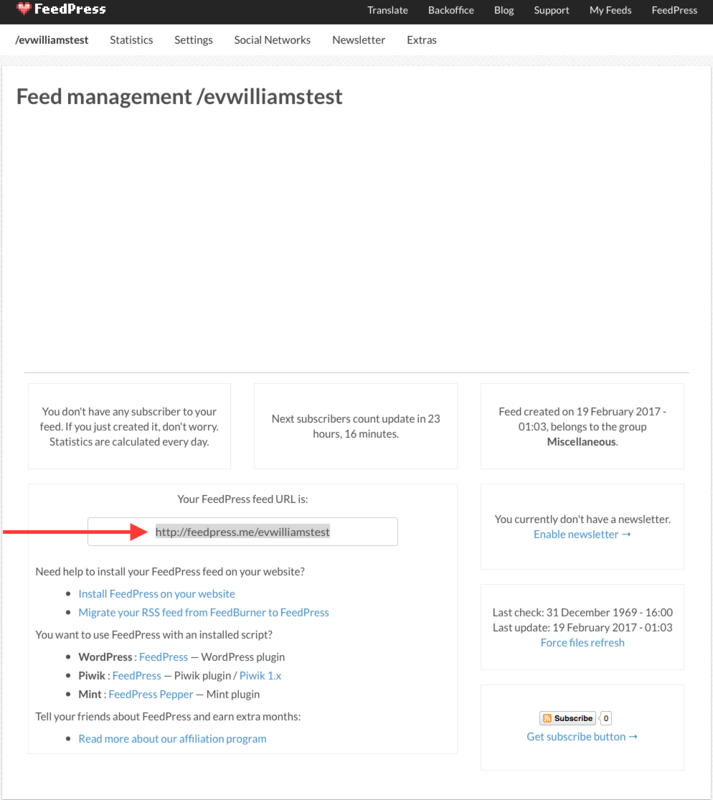 The Custom Hostname option in FeedPress allows you to setup your own branded feed URL, which you fully control. Once that’s setup, you will want to make sure that’s the URL readers subscribe to. If you can edit your Medium page, I would put a link to the correct RSS feed so that people know what to subscribe to. In the example below, the final feed URL provided is highlighted. Note that if you have a Custom Hostname configured, it will display that instead of the feedpress.me URL.